Dr. Jaydev P. Desai (left) and Dr. Saibal Mukhopadhyay (below) from Georgia Tech are among several Indian-American and South Asian engineers selected as Fellows by the Institute of Electrical and Electronics Engineers (IEEE) on November 28, 2017. This prestigious position is bestowed upon IEEE members with an exceptional track record of accomplishments in the fields of aerospace systems, computing, consumer electronics, biomedical engineering, energy, and telecommunications, among others. Dr. Desai was selected for contributions to medical and swarm robotics, and Dr. Mukhopadhyay for contributions to energy-efficient and robust computing systems design. Dr. Jaydev Desai completed his undergraduate studies from IIT-Delhi in 1993, pursued higher studies at University of Pennsylvania, and later taught at Drexel University. Currently, he is a Professor at Georgia Tech’s Department of Biomedical Engineering. Dr. Saibal Mukhopadhyay (right) came to the U.S. after his undergraduate studies in engineering from Jadavpur University, Kolkata. 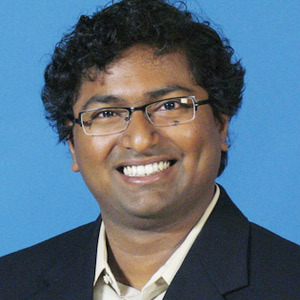 In 2006, he received a Ph.D. in electrical and computer engineering from Purdue University. He has worked at IBM's T. J. Watson Research Center (New York) and co-authored several papers in prestigious conferences and scientific journals. He has also filed four U.S. patents. Professor Mukhopadhyay has been teaching at Georgia Tech’s School of Electrical & Computer Engineering since 2007.